Which shots do your indoor cats really need? While it varies depending on your area, these four are at the top of every vet’s recommendation list! Almost every cat-owner I know has indoor house cats who spend very little, if any, time roaming around outside. With that being the case, it seems a little silly that cats are vaccinated against diseases they typically could only get by coming into contact with another cat or animal outside of their four cozy walls, right? Just because your cat doesn’t go out into the world doesn’t mean the world can’t come in contact with him! Let’s take a look at the vaccinations commonly recommended for cats and why. I don’t know about you, but rabies scares me. According to the CDC, raccoons have a higher incidence of rabies than other wild animals, however bites from bats are the most frequent cause of people contracting the rabies virus. I hear you – your cat is an indoor cat. But what if she gets out? Or what if an animal gets in? Rabid animals act unusual, and it’s not outside the realm of possibility that one could make its way into your house. Better safe than sorry. Also, your municipality may have a law requiring rabies vaccinations, so do your homework. Feline viral rhinotracheitis (feline herpes). This virus is extremely contagious and is spread through discharge from the eyes, nose, or mouth of an infected cat. It can also be passed through litter boxes and food dishes. Many cats are exposed to feline herpes as kittens, and it could live dormant until a weakened immune system (caused by other illness or stress) allows a flare-up. The best way to prevent these flare-ups or chance of contagion is to vaccinate. Feline distemper is spread through feces and urine of infected cats. Symptoms include vomiting, diarrhea, fever, and possibly even seizures, and they usually come on very suddenly. Feline distemper can be fatal, so it is highly encouraged that you take precautions through vaccination. 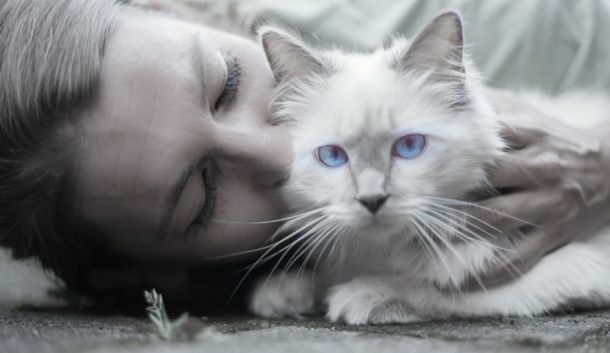 accinations may not prevent your cat from catching the virus, but they will help decrease the symptoms. Calicivirus can go so far as to affect the intestines and musculoskeletal system. The virus is also resistant to cleaning products, making it hard to kill. It’s nothing to mess around with! These vaccines are those typically recommended for all cats, and most veterinarians will provide a combination vaccine for rhinotracheitis, panleukopenia, and calicivirus, decreasing the number of sticks necessary for your sweet cat. Your cat may not need boosters for every shot on a yearly basis, but you and your vet will discuss the appropriate schedule for your cat. There are other vaccines recommended for various reasons and risk factors, so make sure you talk with your veterinarian to determine if he or she recommends anything else for your cat’s lifestyle. Keeping your indoor cat vaccinated against common, yet dangerous, viruses will keep your cat healthy and give you peace of mind that if unforeseen circumstances arise, your cat is safe. What shots did you get for your indoor cat aside from these? Share below! I do not have cats at all, because I like dogs more – But I do have a lot friends that take care and have cats, this blog will definitely be a help to them, I will share it for you. 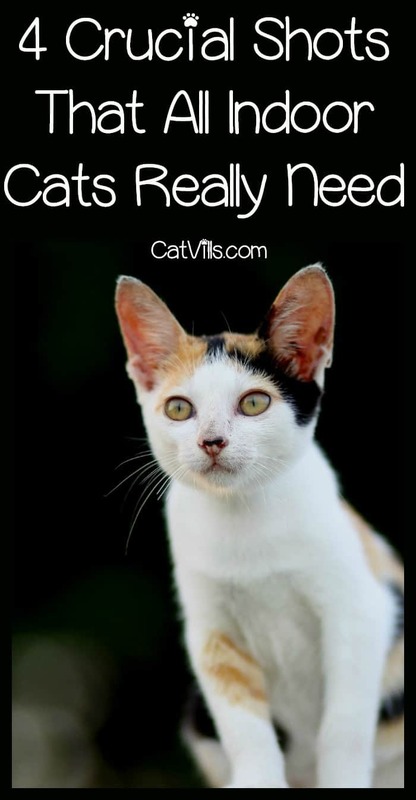 Very detailed and useful information not just for cat owners but for all of us. Will share this with my friend who is a cat mama. Lovely post. However, i don’t own any cat at present. My daughter wants to adopt one. Your tips are great. will apply once we have one.